Going on a cruise can be a magical experience. Either if it’s for an European Cruise or a Caribbean Cruise, there is nothing better than eating well, seeing beautiful scenery and participating in fun activities. 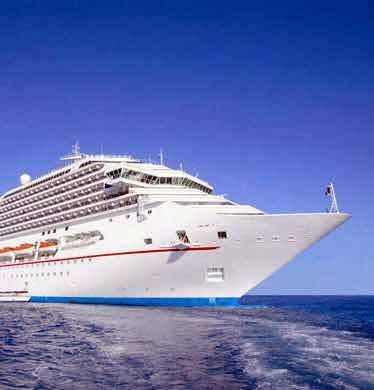 You can find cruises on different themes from family cruises to cruise casinos and yes you could gambling at sea like in Vegas and play your favorite casino games. Unfortunately, cruises cost a lot of money. The average cruise costs around $3,000 per person and more if you are going on a European Cruise. Unless a person is earning a lot of money, this makes it very difficult to go on a cruise. However, consumers should not despair! There are ways to get cruises for free. And one of them is sweepstakes and contests online. How to Win a Cruise? There are countless companies, radio stations and websites giving away free vacations. All one needs to do to get a cruise is to win a competition. The best way to find travel related contests is to set up a search engine alert. The alert will notify the user every time a cruise competition is listed on the search engine. The user can then go to that website and enter the competition. People often believe that winning a vacation is an impossible task. This is not the case. The average person is now very wary of online contests. This means that there are now fewer people entering cruise competition. The end result is that the odds of winning has now increased considerably. Some contests will let people enter more than once. If web surfers encounter this type of competition, they should enter as many times as possible. The more entries a person has, the more likely it is that they will win the contest. Entering a contest does not guarantee entrants a free cruise. However, this dream is not impossible. People win free cruises on the internet all the time. Web surfers should find as many competitions as possible and enter. If people enter multiple contests, the likelihood of them winning a cruise or other prize is very good. Good luck! I really hope I’m not too late,I really try ed I am trying to hang in there I’m so happy I made 5,000.00 a week super prize of a lifetime gwy.no 8800 and pray & have a lot of faith and think positive thar it will all work out the way it’s been going.i pray for everyone,wish u all luck God bless Wendy w.
Hi I’m a VIP with PCH and have been given the opportunity to three chances with three different gifts. My first gift is 10x entry $10,000 gwy 8187. My dream vacation would be me and my children and grandchildren soaking in the beautiful sun and waters of St Padre Island and Figi. Vacation whats that! my husband was burnt 58 % of his body, I have to work all the time just to make ends meet. I could really enjoy a Cruise for my 34th Wedding Anniversary OUTRAGEOUS. totally cool to win it all number 4900, 2 million dollars, 10,000.00 a month for life, Lincoln. 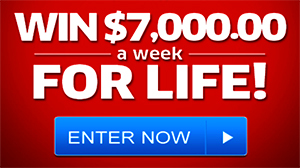 would love to win it all number 4900, 2 million dollars, 10,000.00 a month for life, lincolin money to go on a cruise. This would be one of the happiest days of my life. thank u pch. Yes would love to win PCH 4900 or anything would help family and friends! I want to win a cruise I never been on a vacation. Cruise befo I’m desperate .sincerely:beverly p.s. with hopes and dreams. PCH IM READY TO CRUISE AWAY…. I want to win vacation . My Husband and I desperately need a Vacation, Oh how a Cruse would be so nice or for a better word it would be OUTRAGEOUS. THAT’S WHAT REALLY NEED WE ARE both Disabled for almost 15 years now.